You may not be surprised to hear that Spain is one of the countries in the world with the most "días festivos" (holiday days) per year. It seems like any reason to celebrate here is a good one, and Zaragozans, like the majority of Spaniards, live for their festivals. Whether it's a lively local village festival, a sacred religious one like Semana Santa (Holy week) or a massive week-long party like Zaragoza's famous Pilar Festival, this place is definitely not short on ways or days to celebrate. Festival Description: In the early evening of January 5th, the Biblical Three Kings, or three Wisemen, ride into town on horses bearing gifts and candy for the children of Zaragoza. Lots of decorated floats and costumed characters accompany them as they slowly make their way through town. The parade lasts for a few hours and there is a children's theater and shows throughout the city, both before and after the parade. The next day, January 6th, is when children wake up to tons of presents left by the generous Three Kings the night before. It's typical for Spanish people to spend these days with family, filling up on lots of food, drinks, sweets and festive cheer. Festival description: Not long after the big Three Kings festival, Zaragozans have a day to celebrate their San Valero, the city's patron saint. 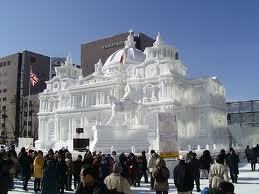 The day consists of different kinds of events, such as concerts, childrens theater and shows. However, the highlight of the day is when the town hall brings out a gigantic "Roscon" cake and hundreds of cups of thick hot chocolate to share with everyone. Concerts and parties fill the rest of the day and night. Festival description: This festival is like a Spanish version of Mardi Gras, when the days are filled with parades, music, parties and competitions for the best costumes and dancing. Festival Description: This is a local holiday that is held to celebrate the day in 1838 when Carlist Troops were expelled from the city. Thousands of people go to the Parque de Tio Jorge, a park named after one of the war's local heroes, to celebrate this historic date with picnics, games and music. Festival Description: Read more on the Holy Week in Zaragoza page! Festival Description: This day is celebrated in honor of the Patron Saint of Aragon and is marked by a variety of different concerts, fairs and performances. It is also the "Dia del Libro" (Book Day), and the big street of Paseo Independencia becomes a virtual outdoor book market, with lots of stalls and authors doing readings, lectures and book signings. Festival Descripition: This holiday has pre-Christian, pagan roots. It simultaneously celebrates both San Juan (Saint John) and the summer solstice. It also goes by the name of the Night of the Witches. In Zaragoza, parties, performances, "discomóvils" (mobile disco clubs), concerts, big bonfires, fireworks and free chorizo (Spanish sausage) can be enjoyed all over the city... particularly in the various neighborhood parks. Tradition here says that if you write your worries on a piece of paper and throw it into the fire, they'll be taken away with the billowing clouds of smoke. When: Second week of October, around the 12th. 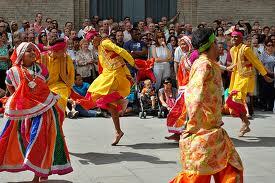 Festival Description: Read more on the Pilar Festival in Zaragoza page! Festival Description: This is one of the most highly regarded folklore festivals and sees the participation of muscians, dancers, artisans and groups from all over the world. There are lots of street markets, workshops, concerts and theater performances. The opening ceremonies take place on the 4th of September in Plaza Pilar and feature a big celebration to welcome participants from other countries. Festival Description: This is a favorite for many Zaragozans, as the city is taken over by tons of international jazz musicians, groups and fans from all over. Past festivals have seen the likes of Miles Davis, Herbie Hancock and Van Morrison. Naturally, there are tons of indoor and outdoor concert as well as conferences, markets and more. Festival Description: This is one delicious festival in Zaragoza that should not be missed. It's basically a week long contest in which more than 70 bars and restaurants across the city come up with tapas to enter in a competition of three categories: Mediterranean Tapa, Aragonese Tapa and Most Original Tapa. Their creations are voted on by a panel of judges and by the public using a series of tickets and ballot boxes. For just a few euros, you can purchase up a "bono" card, or voucher, which is good for 3 tapas and 3 drinks in any of the participating bars. The winner is announced at the restaurant called El Cachirulo at the end of the week. So get out there, eat some amazing and original tapas, have some great wine, meet some new friends, and be like a good citizen and place your vote! 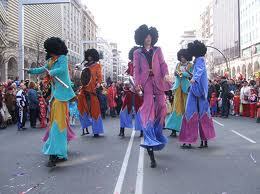 Festival Description: Christmas time in Spain is full of parades, parties, markets, food and festivals. This is a festival that showcases artists, musicians, and performers (mostly for children) from all over the world. There are also lots of street markets for buying those last minute Christmas gifts, and a life-size Nativity scene in Plaza Pilar.